This is Not the Space Shuttle. Take a closer look: you might see the red Soviet flag on the right wing. This picture was taken on November 15, 1988. 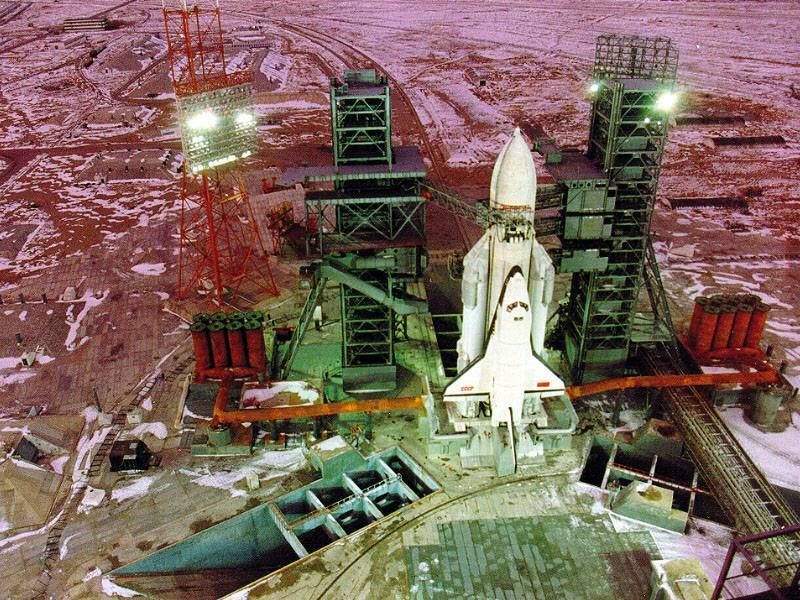 And the Soviet Union was ready for the first (and last) flight of the Red Shuttle: code name — Buran. 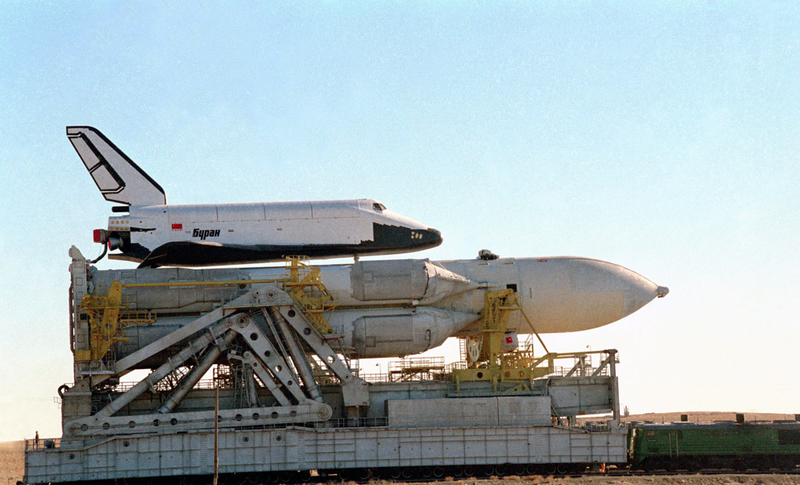 Representing a huge leap in Soviet space technology Buran flew only once in 1988. 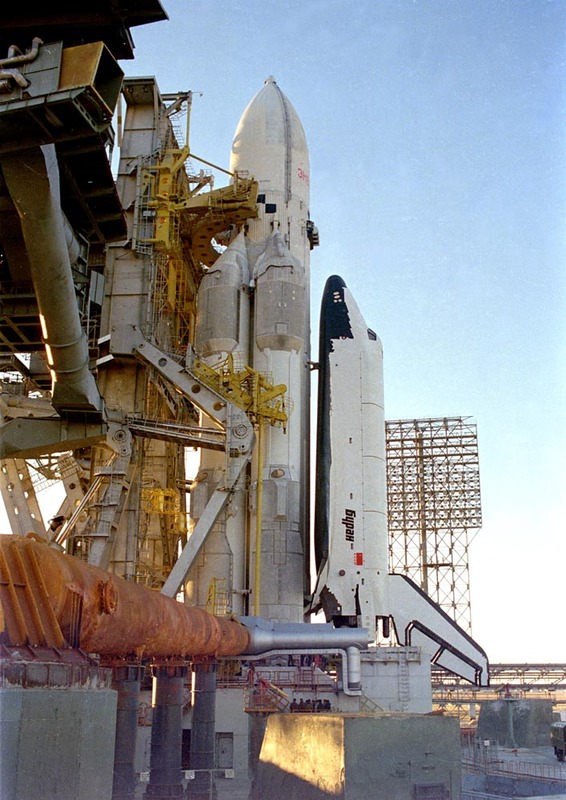 The cost of Buran – 14.5 billion rubles, a significant part of the effort to maintain strategic and technical parity with the United States – contributed to the collapse of the Soviet system and the demise of the spacecraft. 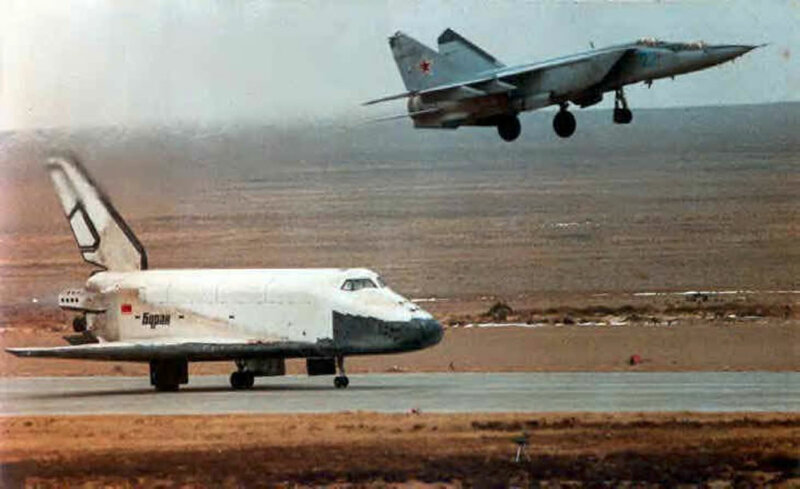 Buran would never fly again. The Soviet Union was crumbling, and the ambitious plans to use Buran to build an orbiting defense shield, to renew the ozone layer, dispose of nuclear waste, illuminate polar cities, colonize the moon and Mars, were not to be. Although never officially cancelled, funding dried up and completely disappeared from the government’s budget after 1993. The destiny of a Soviet Spaceship. 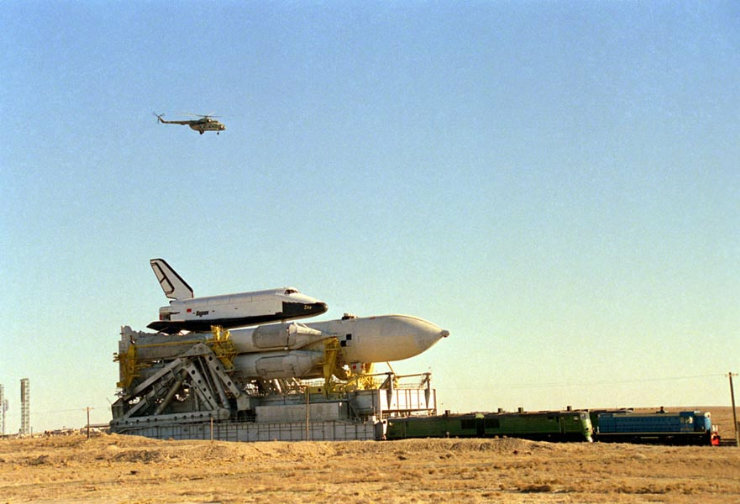 Where is the Buran now? 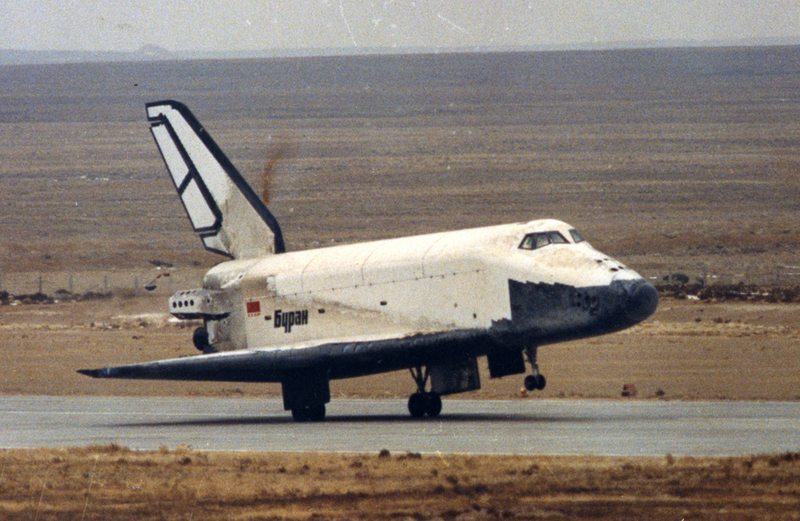 Four Buran spaceships were produced. One of them still rests in Baikonur cosmodrome. It was abandoned until the end of 1990s and its general condition is very poor. Later it was moved to an area next to the cosmodrome museum. Here are some (interesting) pictures. A second one was sold to a Museum in Germany. And it was transported there on water. 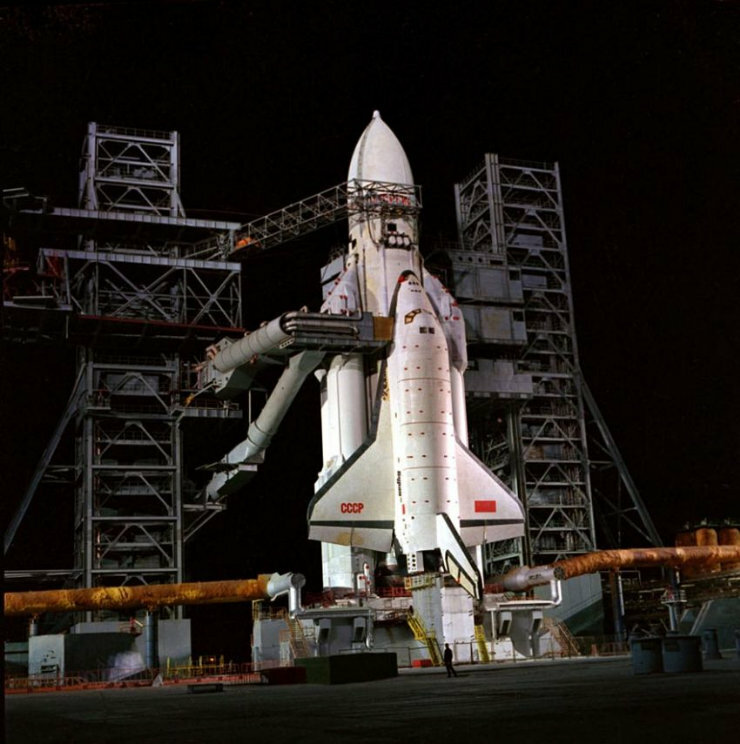 The third, a semi-complete version of the shuttle, was abandoned on the docks at Toshino for years, but has recently been shipped by barge to Zhukovsky for restoration and display. The main shuttle was destroyed when a poorly maintained hangar collapsed. Finally, a training versions of the craft was an exhibit in Gorky Park for many years. The hulk is rusting in a nearby junkyard. Some links, to read more. The legendary history of commissioning and construction of Buran is told here. 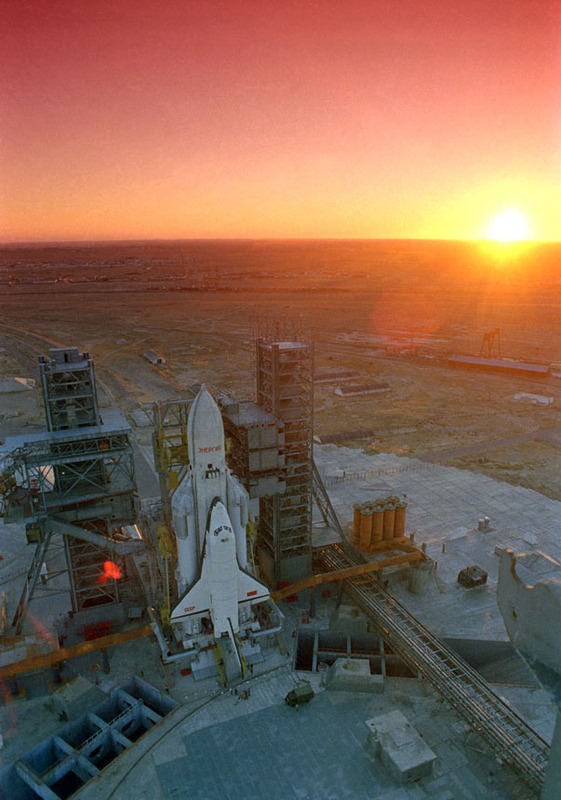 A very rich photo gallery of the Soviet Space Shuttle is available on this site. 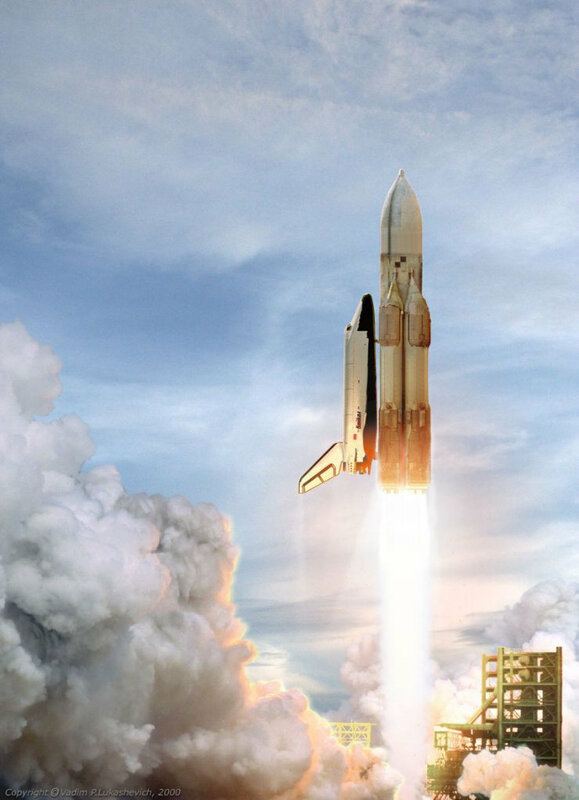 very interesting – I didn’t know that they had a space shuttle as well – nice pictures you found there – thanks for sharing! I did not mention it, but the first (and last) flight was unmanned. I was unaware of the its existence either, until few years ago, when I was told about Buran by a former Soviet scientist. I think that both Russians and Americans have good reasons to keep some silence.